So you may or may not have heard that I am getting married in September. Ok you have 100% heard, I definitely mention it enough . 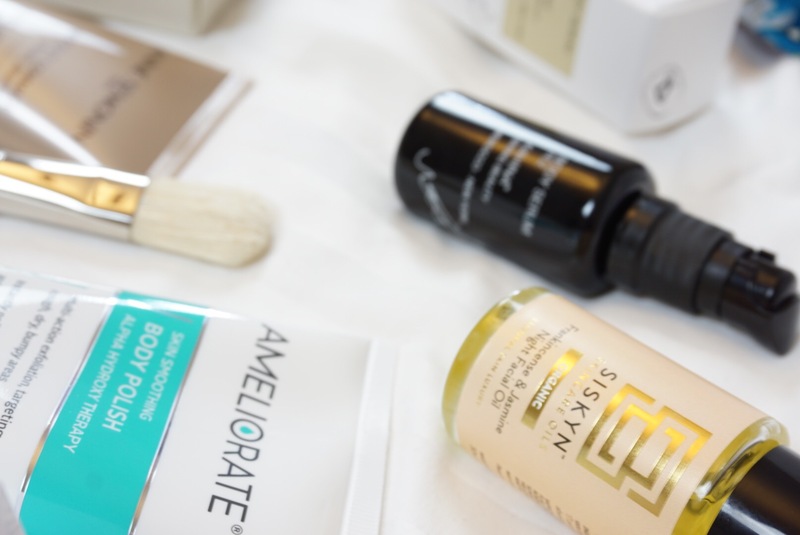 I wanted to talk through some bridal body-skincare prep, we put a huge focus on our makeup, hair and getting fit for the big day, but what about our skin? So many of us these days have wedding dresses that show some skin, whether it’s your arms, chest, back … maybe even all three? So as part of my bridal prep I have upped my body skincare game. When it comes to skincare, you don’t achieve miracles over night, just like your gym routine. If you want to have flawless skin on your arms and back on your wedding day then make sure you prep. I’ve chosen to prep with the Refine Box from Mintd (this would make a gorgeous bridal gift for any keen bridesmaid out there!) 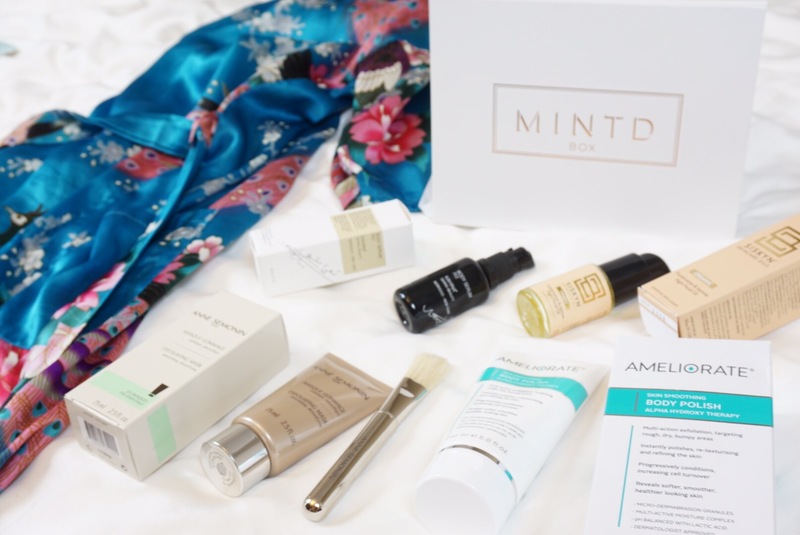 The Refine Box from Mintd includes 5 luxurious beauty products (valued at £176.50) to get you bridal ready from head-to-toe, order yours today for £80 (saving £96.50) with free shipping on your first box HERE! 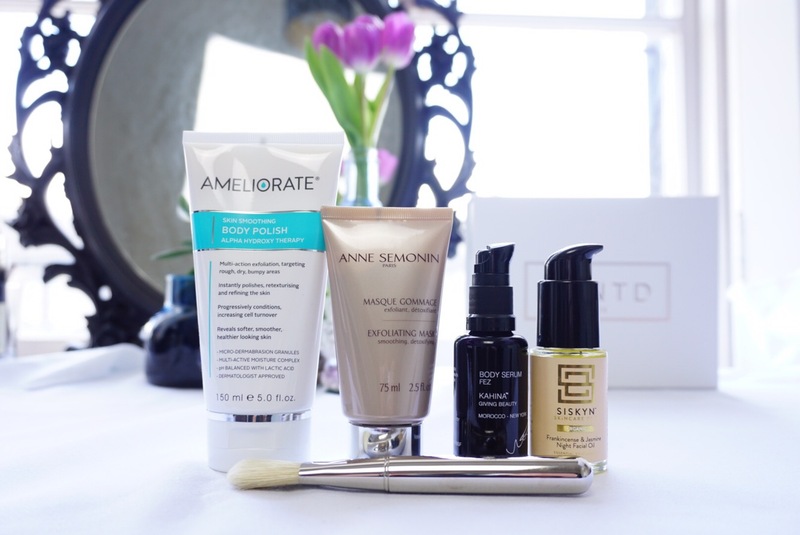 I have been a lover of the Ameliorate Body Lotion for a long time. The skin on my shins can get particularly dry and I can get small bumps on my thighs – the Ameliorate Body Lotion banishes both issues within a couple of days, so I was excited to try the scrub! A high-performance multi-action exfoliator, Ameliorate’s Skin Smoothing Body Polish combines lactic acid – a member of the AHA family which melts the ‘glue’ that binds dead cells to skin’s surface whilst locking moisture into skin – with microdermabrasion granules that gently slough away rough, bumpy areas. It is the best body exfoliator I have used, I would definitely recommend doubling up with the body lotion and targeting specific problem areas of the body rather than all-over. 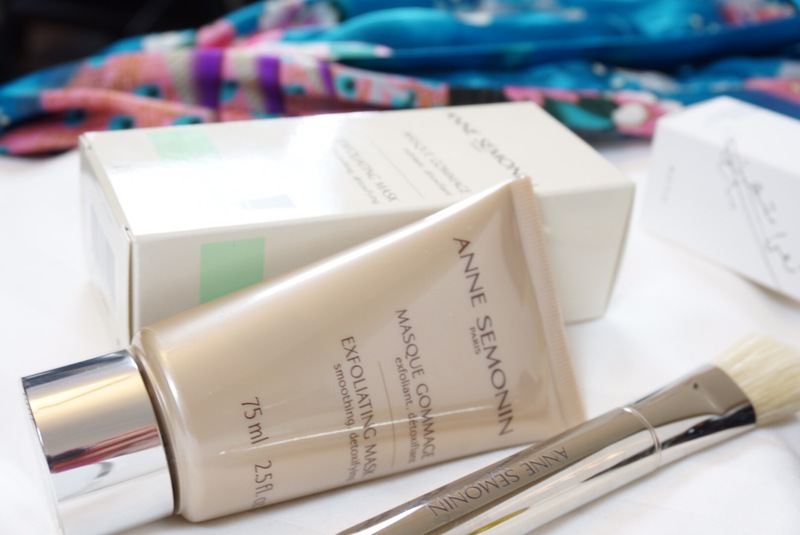 Anne Semonin’s Exfoliating Mask is infused with red seaweed (exfoliates dead cells, absorbs impurities and sebaceous secretions) and kaolin (a clay that absorbs excess oil and matifies the skin). This double-action mask removes dead skin cells and brightens the complexion. 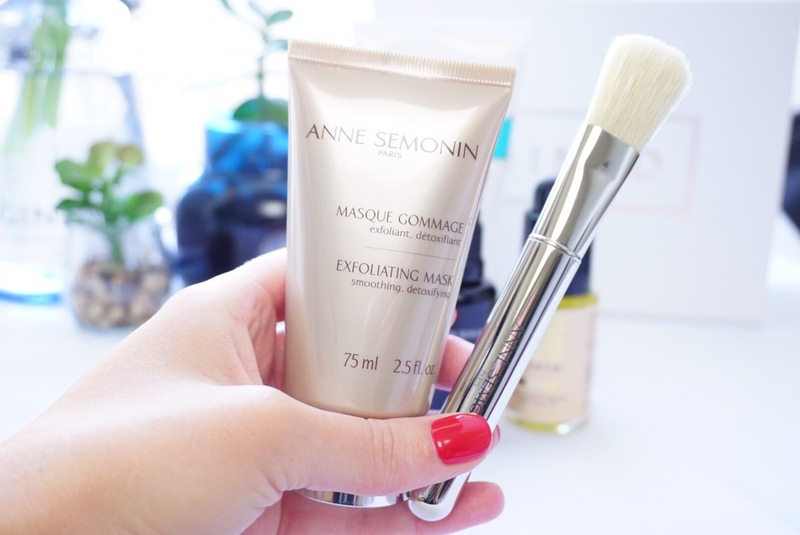 An ideal exfoliator to clear your skin before applying other masks if you’re treating yourself to a Sunday Facial (don’t try this for the sired time the night before your wedding as it may draw out underlying spots – start a few weeks in advance). It is great for dry skin or congested skin prone to blackheads. A silky, hydrating body oil with a fresh and slightly flowery scent that replenishes and restores dry skin and soothes redness. 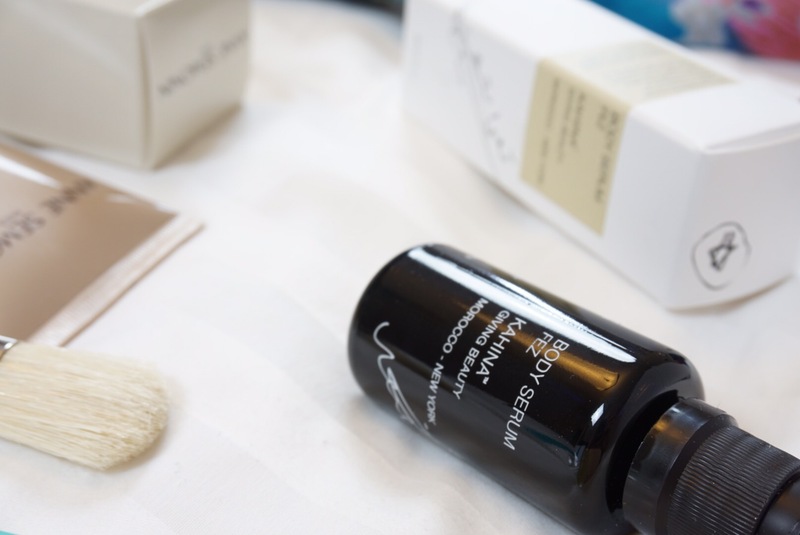 The essential oils in the Kahina Fez Body Serum transport you to the sacred Imperial city of Fez, Morocco. Mysterious, sensual and exotic, this moisturising body oil rich in Vitamin E, replenishes and restores dry skin. Rose and orange blossoms are mixed with citrus notes and layered over the scents of antiquity: patchouli, sandalwood, and ylang-ylang, with lingering hints of cumin and clove from the spice market. The oil absorbed almost instantly into my skin, leaving no residue which is perfect if you want to use it on your wedding day, it really does leave a beautiful scent on your skin that is not over powering. Before your wedding try layering your wedding perfume with the oil to see how they interact – it may make for one very special combination. The aromatherapy benefits may also help to calm nerves on your big day! 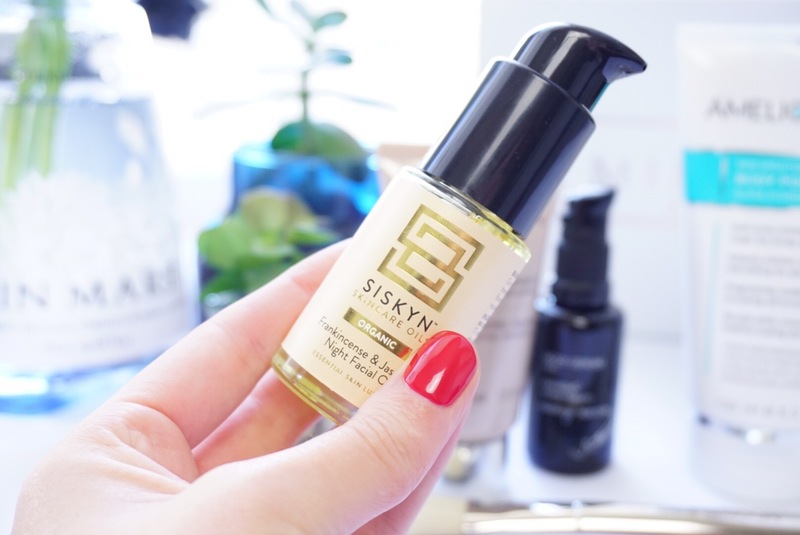 Siskin’s Night Facial oil is beauty sleep in a bottle. This intensive overnight skin boosting treatment oil is a rich blend of 17 certified organic luxurious, highly active, botanical oils. Blended with the amazing, vitamin rich Organic Rosehip for its antioxidant properties to help combat free radical damage and to increase collagen production plus soothing and calming Organic Calendula and collagen boosting Organic Baobab to aid skin maintenance. If you are new or wary of trying face oils this is a perfect place to start. This blend has the highest linoleic acid content of all our face oils producing a blend genuinely excellent for all skin types. 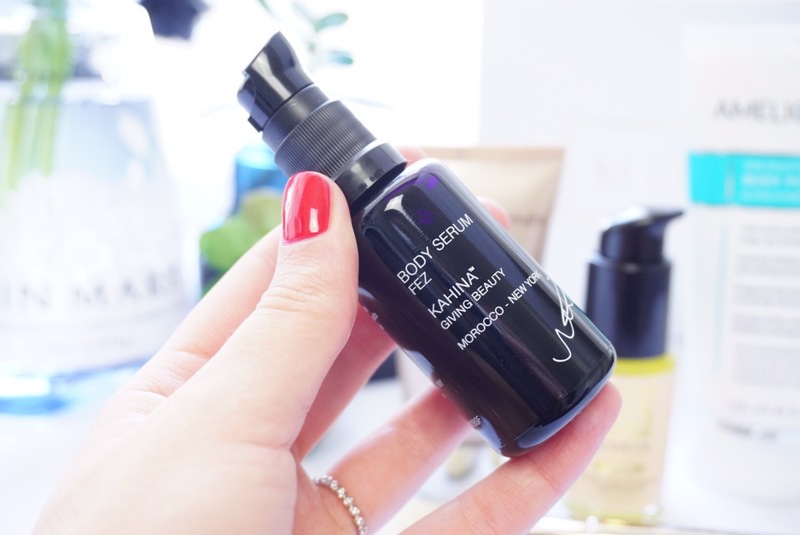 As a night-time oil, blended with a slightly slower absorption rate than our day oils, it will leave your skin feeling balanced and nourished by morning. It’s all the extra beauty sleep you need. A higher linoleic acid content means it is beneficial to help balance acne prone skin, I would recommend starting to use this every night at least one month prior to your wedding. Do you have any pre-wedding skincare tips? Please share them below, I would love to try them out and let you know how I get on!